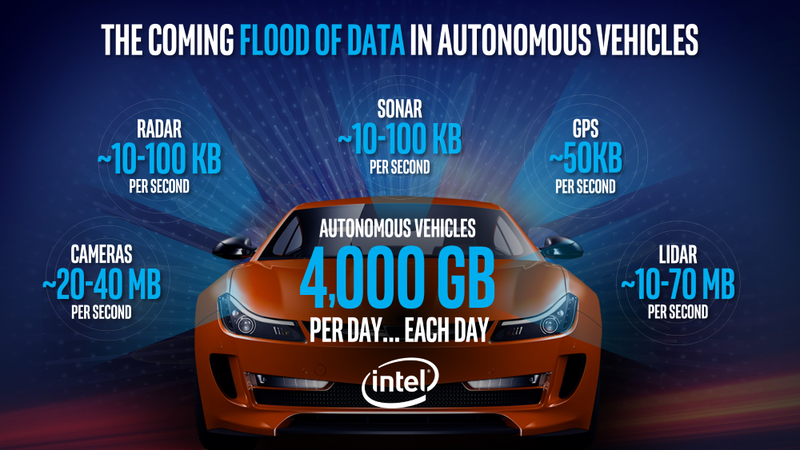 Like other tech giants from a bygone era, Intel has been on a quest to reposition itself as a champion in the digital era and it looks like the potentially lucrative market of autonomous vehicles is a favourite. Speaking at the LA Auto Show’s AutoMobility conference, CEO Brian Krzanich announced the company’s venture capitalist arm Intel Capital has made $250 million of new investment available for the segment over the next two years. The cash will target next-generation technologies focusing on connectivity, communication, context awareness, deep learning, security and safety amongst others. “When it comes to the car of the future and automated driving experiences, however, data is literally the new oil,” said Krzanich. “Data has the potential to radically change the way we think about the driving experience: as consumers, as automakers, as technologists and as citizens of our communities. While the rise of the internet and cloud computing has fuelled exceptional growth for companies such as AirBnB, Facebook, Uber and Salesforce, it has pushed former front runners such as Intel into the shadows. Intel is still a major player in the technology world, however the evolution of the digital era has eroded its influence somewhat. As such, Intel has been on a quest to re-establish its place at the top of the pecking order by getting in on the ground-floor of embryonic segments such as autonomous vehicles. The $250 million investment is a nice statement to make, however Intel has been sniffing around this arena for some time. In September, the team joined forces with seven other tech heavy weights to create the 5G Automotive Association, August saw it announce a partnership with Uber and Volvo, and July saw Intel tempt machine learning company Mobileye away from a partnership with Telsa to join forces with itself and BMW. The autonomous vehicles segment is looking very congested at this early stage and whether Intel has the oomph to make a dominant play remains to be seen. That said, the team are partnering with some of the right people, and a cheque for $250 million certainly adds credibility to the case.